WATCH: ISRAEL ARRESTING CHILDREN YOUNG THAN 7 YEARS OLD ... WHY ARE ALL THE HUMANITARIAN ORGANIZATIONS SILENT? 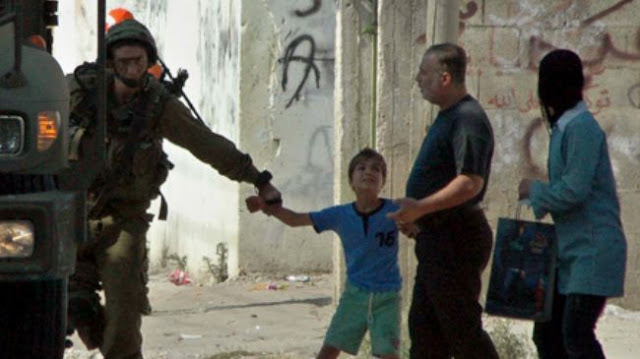 An Israeli Zionist soldier try to take a young child from his father and arrest him. Tell me again who destroyed and killed Syria?